Romance is in the air for Englands's Premier super-team! 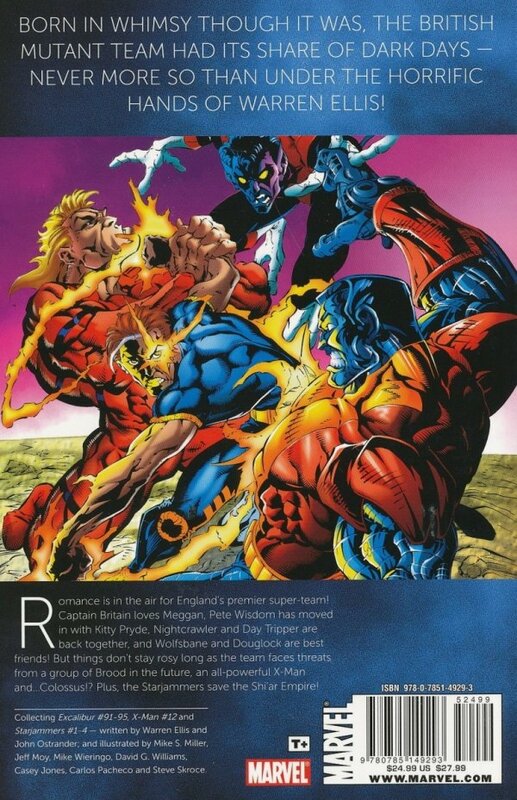 Captain Britain loves Meggan, Pete Wisdom has moved in with Kitty Pryde, Nightcrawler and Day Tripper are back together, and Wolfsbane and Douglock are best friends! But things don't stay rosy long as the team faces threats from a group of Brood in the future, an all-powerful X-Man and...Colossus!? Plus: The Starjammers save the Shi'ar Empire!